I ordered the Prologix GPIB-USB Controller from SGLabs in Italy on Friday 11th March via ebay and it arrived today (Monday 14th March). Impressively fast. Bought it mostly because it was yellow. 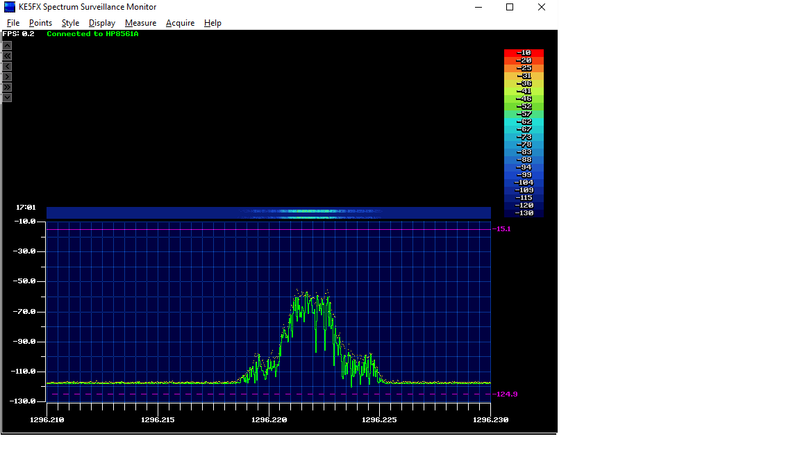 talk 18 "IP;FA 1296.210 MHz;FB 1296.230 MHZ;LG 10 DB;RL -20 DB;RB 100 HZ;AT 0 DB;KSb;KSS;"
More detailed testing to follow….